The Red Hot Organization just released its latest compilation, Red Hot + Rio 2, and much like its predecessors, it does what the organization does best: offering great new music for a truly worthy cause. This offering of 33 tracks highlights the Tropicália music of Brazil, the genre that followed Bossa Nova which was the focus of the first Red Hot + Rio in 1996. It features collaborations between legendary Brazilian musicians and today's international indie artists such as Beck, Beirut, Caetano Veloso, Seu Jorge, Aloe Blacc, Of Montreal, Os Mutantes, Devendra Banhart, David Byrne, and many more. Like all Red Hot projects, this tribute album will raise funds for HIV/AIDS awareness and prevention. Red Hot + Rio 2 is available for purchase online or as 2-disc CD set at retail outlets, as well as a 3-vinyl package at Urban Outfitters. PopMatters recently spoke with the founder of the Red Hot Organization, John Carlin, who had the idea of using the power of music to bring attention to the AIDS crisis back when people were dying of the disease everywhere with little hope for a cure. The first compilation appeared in 1990, Red Hot + Blue, which matched pop stars with the music of Cole Porter. Its roster of musicians such as David Byrne, Annie Lennox, U2 and Erasure, brought a beginner's luck to the organization while selling over 1 million copies worldwide. A primetime TV special hosted by Richard Gere, Carrie Fisher and Kyle MacLauchlan also raised funds and awareness on International AIDS day. Next up was a dance-oriented compilation titled Red Hot + Dance, with remixes and original tracks by popular club artists. Tracks by George Michael and Madonna filled clubs around the world, as Red Hot organized events to spotlight the collection and the cause. 1993's No Alternative project focused on alternative bands, for example Nirvana, Beastie Boys, Soul Asylum and a then-unknown band called Smashing Pumpkins. Red Hot went to Nashville to create Red Hot + Country, finding support in both old and new classic country music artists along with a dose of classic rockers. The 1994 compilation included Dolly Parton, Stills & Nash and Jackson Browne. Red Hot's 1995 release, Stolen Moments: Red Hot + Cool, linked old school jazz performers and contemporary hip hop artists such as Alice Coltrane, Digable Planets, MC Solaar, Donald Byrd, Don Cherry, and Branford Marsalis. An anthology of indie rock, Red Hot + Bothered, was released the same year. It included tracks by Juicy, Heavenly, the Verlaines, Noise Addict, the Sea and Cake plus many more. Two releases appeared in 1996, Offbeat: A Red Hot Soundtrip along with America Is Dying Slowly (an AIDS acronym), which explored ambient music as well as hip hop and the spoken word. 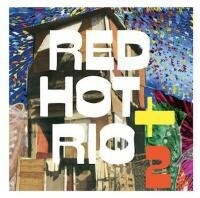 The first Red Hot + Rio was released in 1996 as a tribute to Bossa Nova music. 1997's Red Hot + Latin: Silencio = Muerte continued the focus on Latin artists, paired with the likes of David Byrne and Café Tacuba. 1998's Red Hot + Rhapsody returned to the contemporary tribute idea, this time using George Gershwin songs as inspiration. In the year 2000, Red Hot released Red Hot + Indigo, which mined the Duke Ellington catalogue and in 2002 Red Hot + Riot presented songs by Fela Anikulapo Kuti. But it was the latest indie rock compilation, 2009's Dark Was The Night, that "put them back on the map" according to Carlin, by raising over $1 million in donations. This extensive collection featured the likes of the National, Bon Iver, Feist, Yeasayer and the Dirty Projectors with David Byrne. To date, Red Hot has donated over $10 million dollars from the proceeds of over 16 albums and concerts. With four more projects in the works, Carlin took time out of his very busy schedule to discuss the origins of Red Hot and the new Red Hot + Rio 2. Going back to the beginnings of the Red Hot Organization, how did the idea of linking the AIDS crisis with music compilations come about? I was in the art world of New York back in the '80s, the so-called East Village art scene, and a lot of my friends got sick and died even before it was clear what this was. It was literally like all of a sudden. I'd go to a party and say, "Where is so-and-so?" Everybody would get a funny look on their face before someone would say "Oh he's in St. Vincent's." By the end of the '80s, I had gone to law school and became an entertainment lawyer. I was working at a big midtown law firm in New York and one of my clients, a cosmetics company, did an online advertising campaign. They basically got a lot of celebrities to be involved and they were going to give a lot of money to an AIDS organization. Then they didn't. That got me very upset, beyond the general morality of it. I had some of the people I cared about most in the world in the hospital with this disease. That was the pressure cooker that transformed me from somebody who wrote about art and helped artists through professional skills to "OK, I have to do something about this." One of the things that was my specialty in the art world and as a college professor was popular culture. So the idea of reviving a culture, in particular the music of Cole Porter, was creatively really interesting. The more I thought about it, the lyrics of these songs are so appropriate to this issue without beating anybody over the head with it. And I was just really fortunate that it started to work. It seemed the idea caught on and the organization grew so quickly, were you surprised? Well it's really funny being on the inside of something. I don't know, is that what it seemed like? If there was a behind-the-scenes documentary, I'm sure you would have seen lots of drama. From an outside perspective, sure, it was beautiful. It worked. Like all great things it should seem simple and effortless no matter what when on behind the scenes. How do you decide on who receives the funds that are raised? The distribution of funds really is different for every project that we've done -- just like how our label partners and distributors are different. Red Hot is not an institutional charity in a typical way and that was very deliberate. I didn't want to create an organization with a lot of infrastructure. I don't pay myself to do it; I've always had a day job throughout this whole twenty years. I created this other company, Funny Garbage, which I run and that enables Red Hot. It let's us evolve. We're not stuck having to throw a fundraiser and raise lots of money for operating expenses. We come into being to produce creative projects so we're more like a creative production company or a studio that has a pro-social cause. The original idea was we would give away the money based on a combination of territories where the record was selling and where we felt the greatest need was. On that first project when I was learning how to do it, we basically created a partnership in the United States with amfAR. We used their system to set up a process: to send out a RFP (Request for Proposal) and find, within our mission, the most needy organization. Also one that was whistle-clean and bullet proof, one that no one would think I had made these decisions personally or I gave away the money because I knew some person. There were a couple of organizations that we wanted to give money to that amfAR didn't want to, primarily Act Up which was a really important activist AIDS organization during that era. We basically carved out a huge amount of money, but it was very hard to give money to Act Up because they weren't really an organized organization. So we ended up giving the money to lots of local branches of Act Up. In recent years, for example with Dark Was the Night, which was the project that really put us back on the map, we employed something that has been really effective for us. We ask the artists that participate in the project to recommend charities from where they live or where they grew up. So there's a very personal relationship. Obviously we also vet those organizations to make sure they're totally legit, but it serves a really interesting purpose. The first time with did this was with the No Alternative project and we had the Beastie Boys saying, "Wow, we do charity stuff all the time and this is the first time anyone actually asked us where we wanted the money to go." The organization the Beastie Boys recommended was the needle exchange program in L.A, and traditionally needle exchange programs had been hard to fund. During the Dark Was the Night project, one of the organizations Arcade Fire recommended was Partners in Health. Then when the earthquake hit Haiti, we talked to a bunch of the artists, along with Bryce and Aaron Dessner from the National who were our partners in that, and we ended up giving Partners in Health a huge amount of money. The first Red Hot + Rio appeared in 1996 -- how was that project put together to focus on Brazilian music? I had always loved Brazilian music. I basically ran into this person, Béco Dranoff, who was at the time tour managing these Brazilian bands and involved in that world. So I was literally like, "Béco, you know all these people who I really admire -- let's do a record together." I know it sounds bizarre but that's really how it happened. The magic of Red Hot has been once we got going, after that first project where people didn't really know us; people knew our reputation and how we do things with total integrity in the best possible way. Not that it's easy but it gives us a platform to work off of. So somebody like Béco who could reach out and find contact information, maybe couldn't do it in the context as an individual but because of what Red Hot had done before, we were able to book some great Brazilian artists but also some mainstream ones as well. So how did you decide to go back to Brazil for Red Hot + Rio 2? A lot of it was because of meeting a lot of amazing young indie rock musicians doing Dark Was the Night, and finding out that they had a love for the music that came after Bossa Nova, called Tropicália and in particular one musician, Caetano Veloso. So that gave me the idea -- I knew I loved this music but knowing others did too -- maybe their audience will follow along. It's such an extensive collection. How were the collaborations arranged between the Brazilian and the indie artists? Well, that's part of our creative formula. We make music that would not have been heard but for our projects. We don't take B-sides or live tracks. It's not about donating something that wasn't good enough for your own record. It's more like this: I always loved the Beck song, "Tropicalia". So in my mind, I always heard Seu Jorge singing on it. One of the crazy things in the world is to have that idea and actually get it to work. I've worked with Paul Heck for a long time as a co-producer, and we discussed mixing this great band Superhuman Happiness with the Cults. Things happened kind of like that. Where did the recording take place? The process of recording has changed dramatically over the past 20 years. In the old days we recorded in studios, in a very centralized way. Now everyone pretty much records pieces at home and then it's put together in a studio. So it's not like these people are coming together literally in a studio. They are more like sharing files. Sometimes things were recorded in a studio, if we wanted them to sound in a particular way. They were mixed all over the place and then mastered in one place. We're going to do another record with Aaron and Bryce from the National and the idea for that record is we're going to try to do a bunch of superstar sessions in a studio. That's almost going back to an older, more music-driven approach. We actually have four music projects lined up with the thought that some of these will also involve multi-media --maybe we can even develop a Red Hot app.